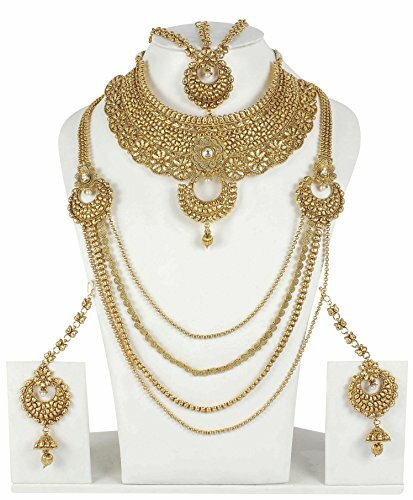 Indian Full Bridal Necklace Set with Matching Pair of Earrings , Tikka-Mathapatti, Hathfull & Matching Earrings It is crafted through finest & exclusive raw material, A designer Bridal Necklace set that make you feel royal. This set can be worn on any special occasion. The color complement all outfits & may worn as a statement piece to any occasions.